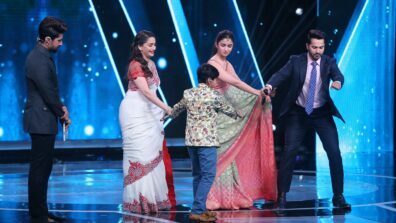 Amul Sa Re Ga Ma Pa Li’l Champs on Zee TV wowed audiences with its mind-blowing talent. 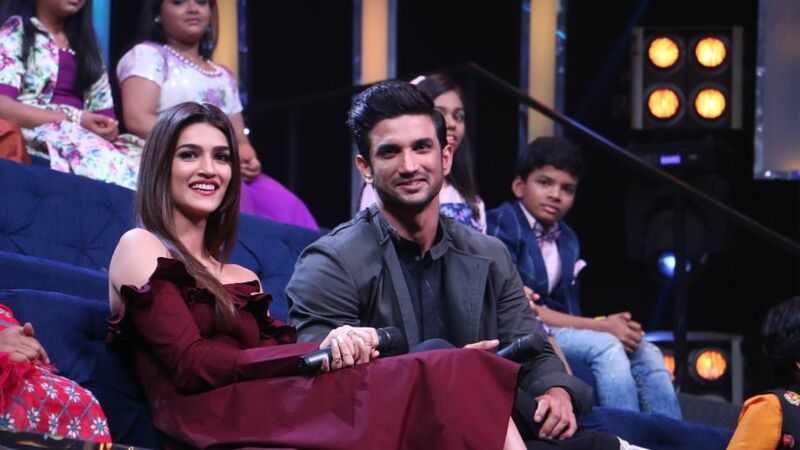 While the Top 9 talented performers are set to dazzle the audiences with their explosive performances, this Saturday, 27th May at 9 PM, the gorgeous Kriti Sanon and handsome Sushant Singh Rajput will be the celebrity guests on the show. The actors visited the sets of Sa Re Ga Ma Pa Li’l Champs to promote their upcoming flick ‘Raabta’. The episode started with quite a bang! 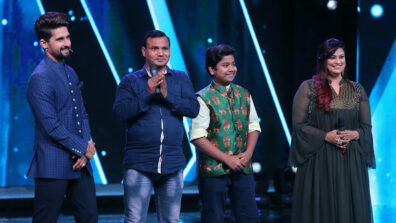 While all the contestants gave some scintillating performances one after the other, it were Li’l Champs from Kolkata who left the actors speechless with their vocal abilities. Yes, tiny singing prodigies Riya Biswas and Sonakshi Kar who are known for their honey drenched voices mesmerised everyone with their performance on romantic number ‘Kaun Tujhe’. Hypnotized by their singing, the actors felt like they were transported into an alter world where they forgot about everything around them. 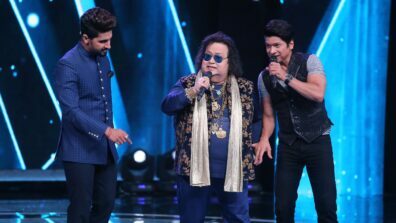 So impressed was Sushant, that he was unable to express his feelings in words and eventually went on to the stage to hug the duo! 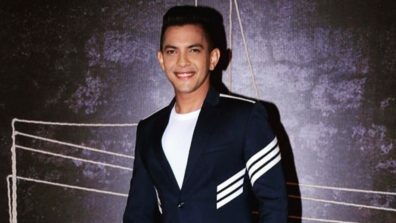 Being on Zee TV’s platform reminded the talented actor of why he became an actor in the first place. Sushant said, “The purity and innocence with which these kids sang their song are the qualities that differentiate a great actor from a good actor. I once read a book in which the author remarked, “An artist should be like a child first” and the kids’ performance reminded me of that. 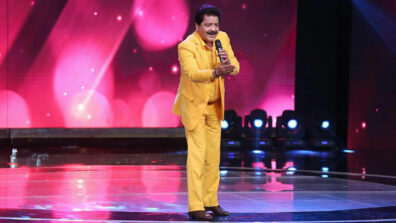 I thank Zee TV for my success….Zee is my family, my home who gave me the courage to see the dreams and chase them”. 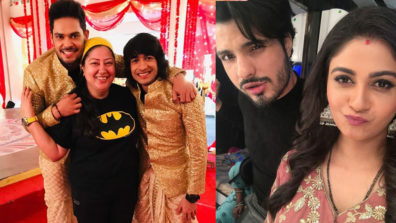 The Raabta actors were filled with various emotions which inevitably ended in them being awestruck! Hearing Li’l Champs Shanmukhapriya and Satyajeet sing the lovely song ‘Chaar Kadam’, Kriti was completely mesmerized and commented, “There are a very few singers whose smile you can feel through their singing. Every time I hear Neha Kakkar singing it brings a smile to my face because she can feel her smiling and today after listening to these two kids I felt that same joy. Rocking the stage with their performance on ‘Ude Dil Befikre’, Dhroon Tickoo and Yumna Ajin brought the house down. 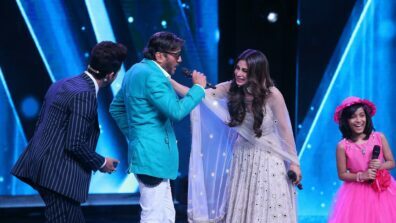 Hasrat accompanied by the ‘pinga’ playback singer Vaishali Madre performed the romantic number ‘Ore Piya’. This Saturday,27 May at 9 PM, watch the contestants floor Kriti Sanon and Sushant Singh Rajput with their fabulous singing!